The Victorian Government has committed heavily to upgrading schools around the state, investing $2.5 billion over three years. Kurnai College in Morwell will receive a $10.1 million upgrade, replacing old buildings at the College with modern facilities. Blocks A and F and the old Arts Block have been demolished to make way for Stage 1, which includes a new canteen, performing arts and food technology building, Year 9–10 classrooms and a science block. Stage 2 of the project will see the existing Block E and library demolished and replaced with new Years 7–8 classrooms and staff building. Stage 1 of the upgrade and modernisation of Kurnai College’s Morwell campus is expected to be completed by the end of 2018. Thousands of Victorian students attending 38 Catholic and independent schools across Victoria will benefit from better facilities and new and upgraded classrooms. Cornish College in Bangholme will receive $2 million to build new classrooms through round three of the Capital Funding Program for Non-Government Schools. The popular Cornish College will use the funding to build new classrooms and study areas for its senior year students, including relocating Year 11 and 12 students to a new dedicated Senior Years centre. Construction is expected to start in April next year, with completion expected early 2019. The Labor Government’s $120 million Capital Funding Program for Non-Government Schools has already seen more than 86 projects receive funding to build and upgrade Catholic and independent schools across the state. Thirty-eight schools – including Cornish College – are sharing in $49.5 million in funding to expand and upgrade through the fund’s latest round. Students from across the Warragul region will soon be learning in six brand new classrooms. 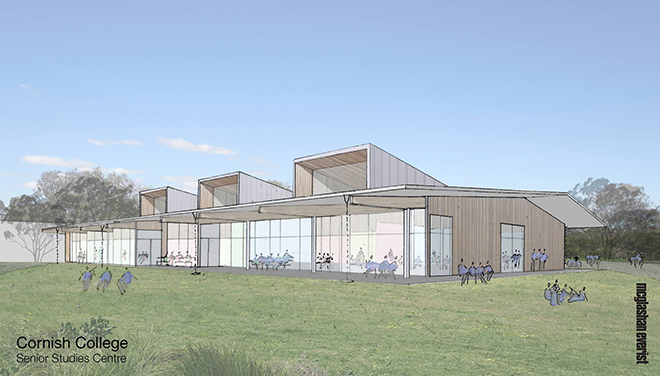 Marist Sion College in Warragul will receive $2 million towards a new high quality, permanent building housing six classrooms, as well as additional learning spaces. As part of the $3 million project, five ageing relocatable classrooms will be demolished to make way for the new building. Marist Sion College is contributing $1 million towards the project. This is one of a number of construction projects underway at the school, which is also building a new $5 million learning centre comprised of 10 classrooms, food technology facilities and staff offices. Marist-Sion College is a co-educational Catholic independent school founded in 1975 in Warragul and attracts students from as far afield as Morwell and Pakenham to the Neerim and Ellinbank districts. The Government’s $120 million Capital Funding Program for Non-Government Schools has already seen more than 86 projects receive funding to build and upgrade Catholic and independent schools across the state. Victoria’s school building boom has delivered more than 1,000 school upgrades and 56 new school projects across the state.